If you’re running a gym or you’re a trainer providing services related to yoga, body building, fitness or weight loss, you might want to make a presentation to provide your potential clients with an overview of your services. 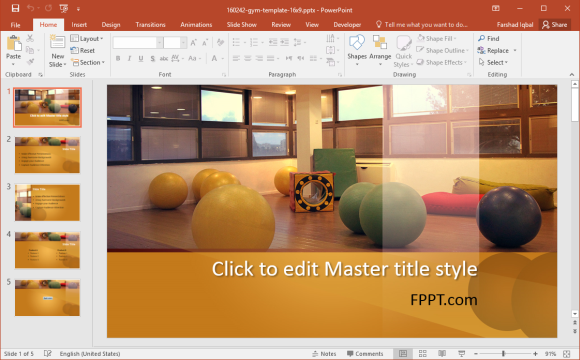 The Free Gym PowerPoint Templates given below can help you do just that. 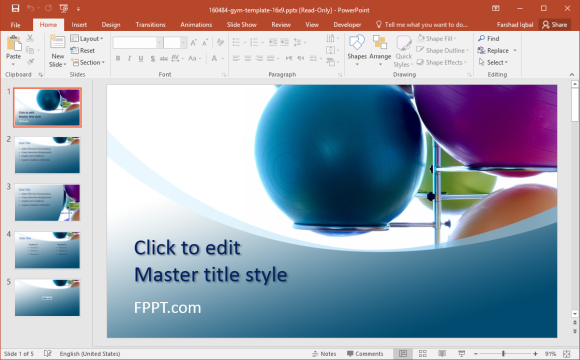 This free PowerPoint template depicts gym equipment with stylish flat design layouts. You can easily incorporate your text and images to the sample slides to create a professional looking presentation about your gym, yoga or fitness related services. 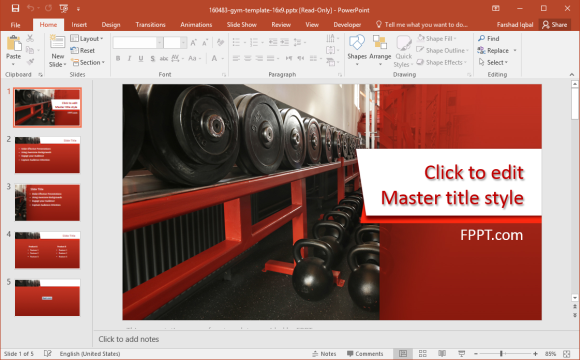 If you want to promote your gym or want to make a presentation about fitness, bodybuilding or exercise, this template can be a good slide deck for you to make your presentation. This template contains images of gym weights. The slides come with a red and white template design with ample space for adding text and your own images. You can add new slides and customize the existing five sample slides to create a professional looking presentation on any of the aforementioned topics. The template provides layouts with a greyish color tone and an image of a man running on a treadmill. The image itself is pretty much symbolic with fitness, exercise, and a healthy lifestyle. The elegant grey color tone with white text makes the template quite visually appealing and any image you add will automatically pop-out amidst the background in grey. A minimalist slide deck, the Free Fitness Gym PowerPoint Template comes with images of stability balls used for yoga and other types of exercise. The template comes with basic slide layouts to help you create a presentation using simple slide layouts. 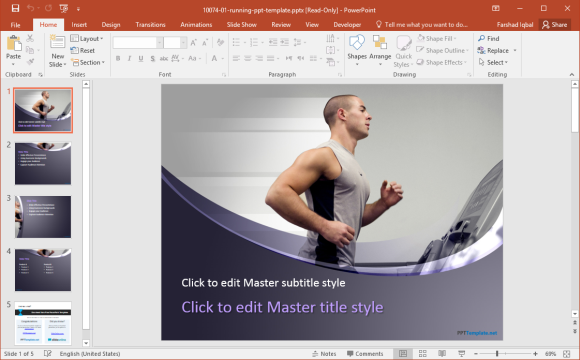 You can use this template for quickly creating a presentation elaborating about the basics of a fitness related topic or subtopic, as well as an introduction to your business. While the above templates are related to fitness and exercise, you can also download templates related to nutrition, healthy food and healthy life choices from our reviews of Free Health PowerPoint Templates.